Alliance of the Steadfast: Double Dungeon Madness! 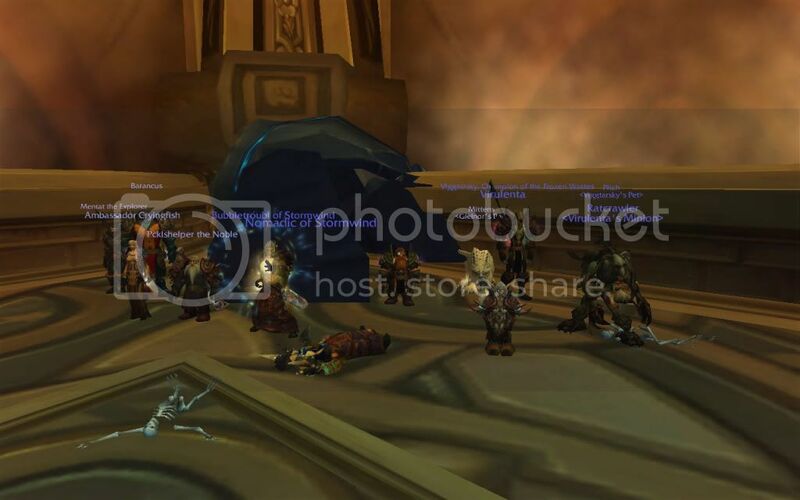 Multiple baddies felt the wrath of the Steadfast tonight as we rampaged through both Ulduar and Vault of Archavon. 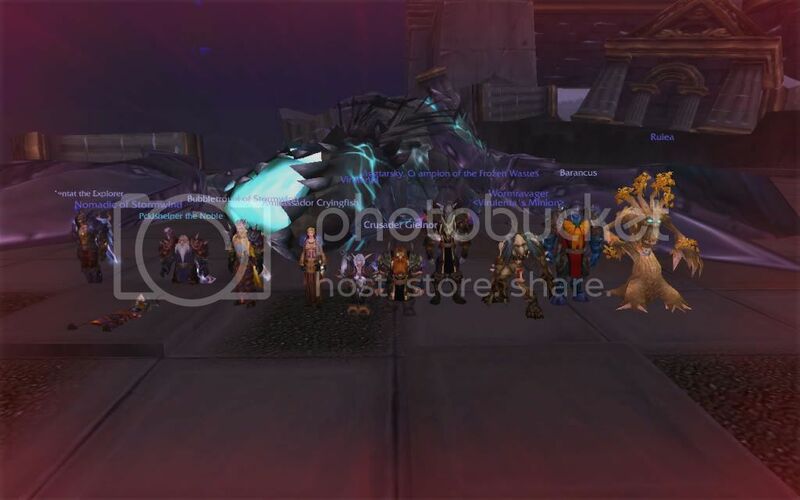 In Ulduar, Razorscale (or Veranus, for those who did the Hodir quest chain), fell to AotS after only one wipe thanks to the efforts of tanks Nomadic and Mentat; healers Ruiea, Bubbletroubl and Cryingfish; and DPS Viggtarsky, Pcklshelper, Barancus, Virulenta, and Gielnor. Click here for a hi-resolution view. Nomadic is a little camera shy :). Once again, Nomadic displays his inability to stand in the beam of a camera flash. Remember, Mentat is still our Field Captain, so if there is any specific dungeon/ raid you would like to run during the week, ask him and he will try to slot it in. Enjoy those tasty, tasty epics! It was Chubbyhealz with a Z. I asked if he wanted to join our guild but he said he was switching servers when the patch drops.